Who’s working at the Gothic Tower? Hello! 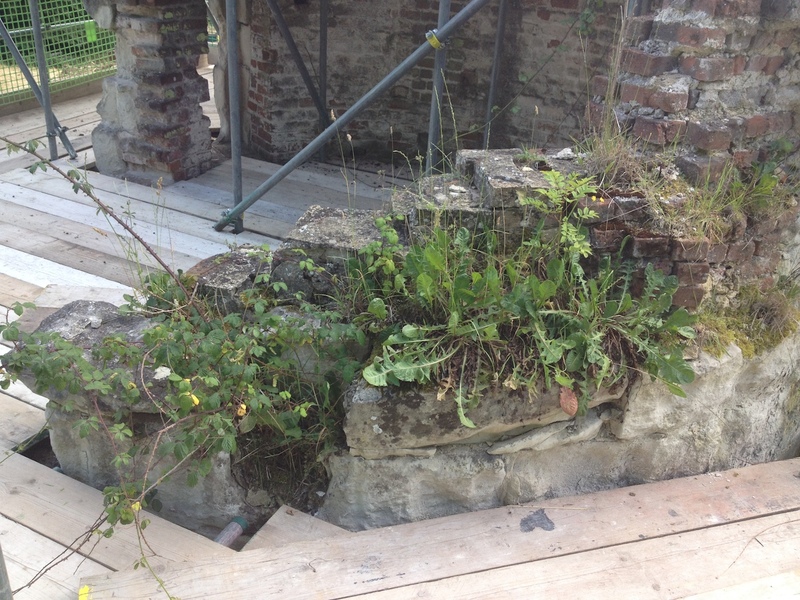 We’re Cliveden Conservation and we’re carrying out the conservation project at Wimpole’s Gothic Tower. We were founded in 1982, originally for the preservation of the National Trust buildings and statuary, then branched out and became our own company. Our enthusiastic and highly skilled conservators work out of our 3 workshops across England to conserve and restore buildings, stone, sculpture, plaster and the decorative arts. Our projects, small and large, take us to places all over the world, but we’ve maintained strong ties with the National Trust and are pleased to be leading the Gothic Tower conservation project. What is the conservation project? 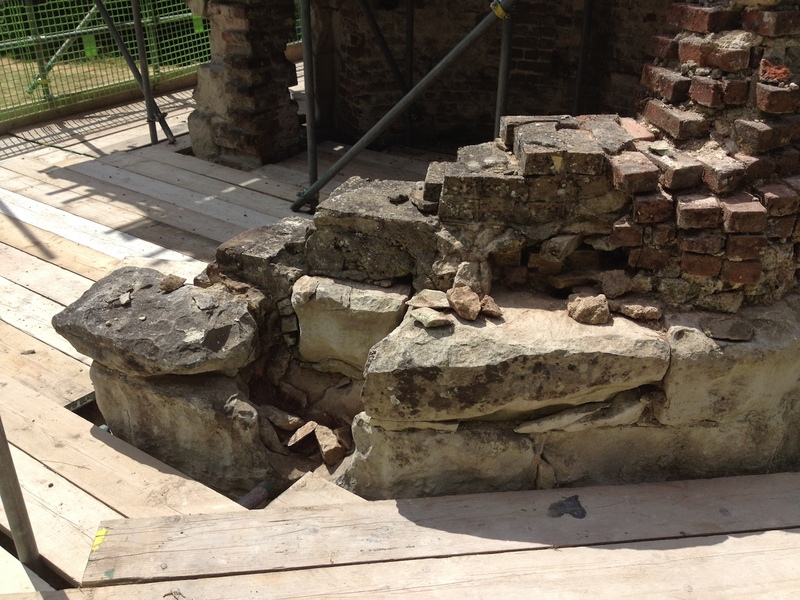 In order to make the folly more accessible for the public, an amount of work needs to be done to bring it back to life and make it safe for visitors. We have a great team here at the folly, working hard in all weather conditions. 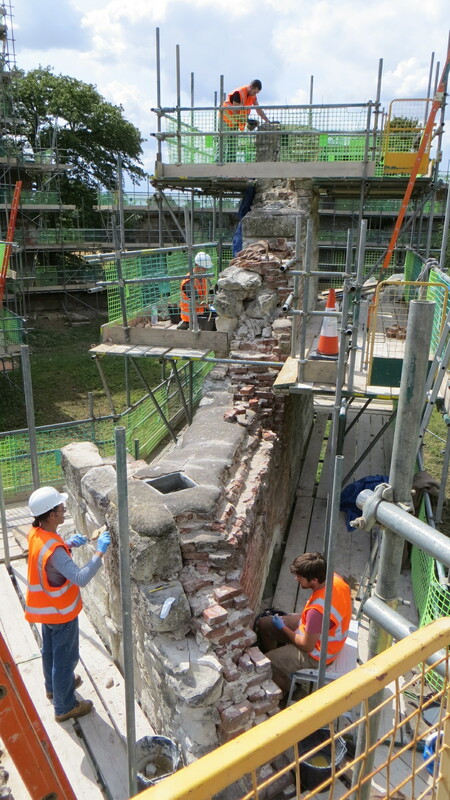 If you climb the scaffold on the Gothic Tower Scaffold Tours, you’ll be able to spot us busily working around the site. 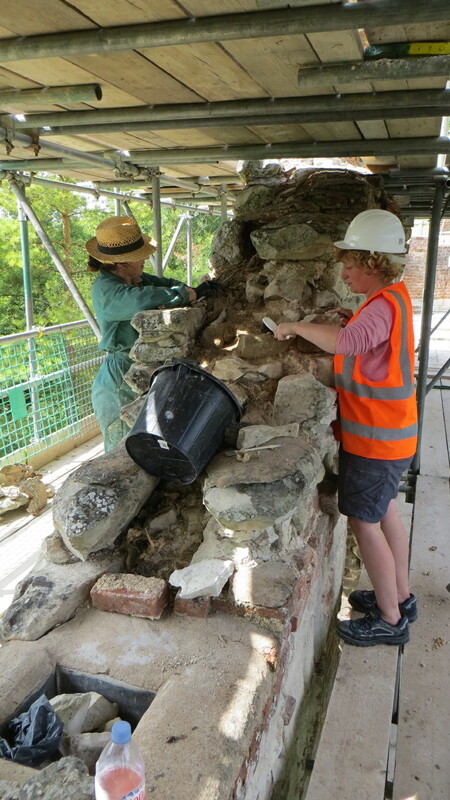 You may even see us working up close and personal as we work our way around the main tower. This entry was posted in Buildings, Conservation, Landscape by ntwimpole. Bookmark the permalink.